han pleased with the superior distance and feel of RadarGolf Balls.You get a dozen of these RadarGolf Balls with the system; additional ones are available (RG002, $39.95 for a dozen). 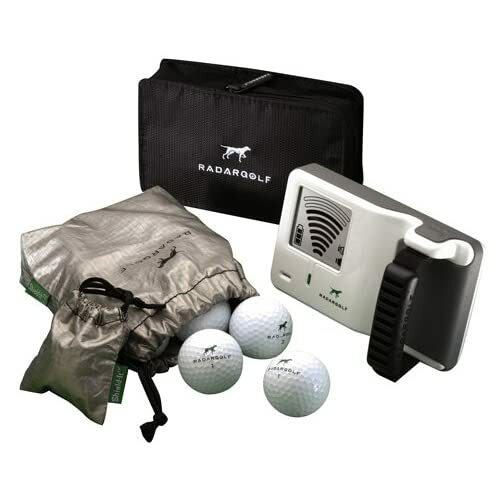 Your purchase includes the RadarGolf Handheld (with protective case); a dozen RadarGolf Balls (plus two specially lined Shield-It pouches that keep spare RadarGolf Balls from affecting your search). Handheld measures 6″ x 3 1/2″ x 1 3/4″; it runs on 6 AAA batteries (included). 180-day warranty. Exclusive to The Sharper Image.